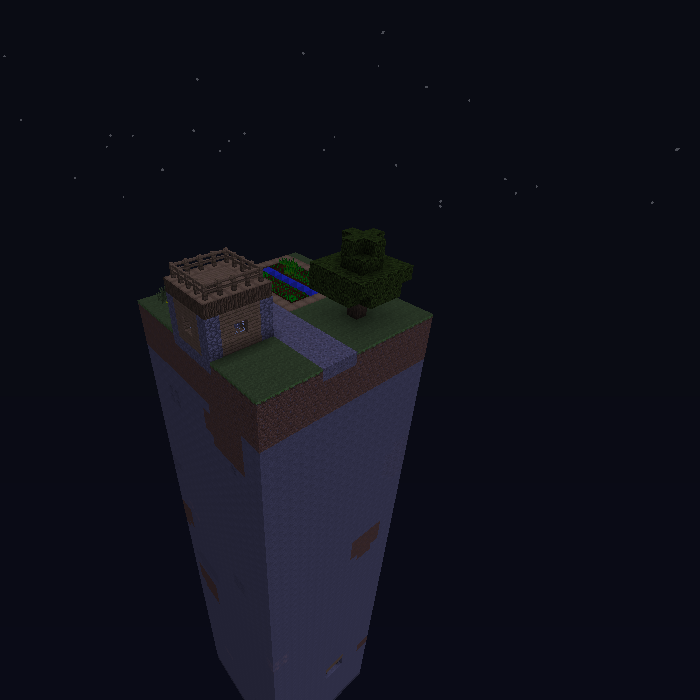 There is only one chunk in the whole world. Try to survive on this single chunk. The map was made in 1.7.10 but should work on all newer versions even modded. This map is set to generate the rest of the world as air blocks, so don't try to build a bridge to land. It's pretty difficult to get anywhere with (almost certainly) no lava or diamonds. I've bred several animals, I have about 6 eyes of ender, sugar, and spider eyes but nothing to do with them. If the idea was simply to survive on one chunk, I'd almost prefer to stand around the pre-built farm and just eat bread. I think this is a great world with a lot of potential. People could start their own survival map with just a single chunk. Thanks for this map and thank you. Even more interesting for a server run. I might one day load this for my own server in fact to provide an interesting playing experience.